Liczba stron: 88 Jest to ujednolicona liczba stron, która ułatwi Ci porównanie długości książek. Każda strona Legimi to 200 słów. 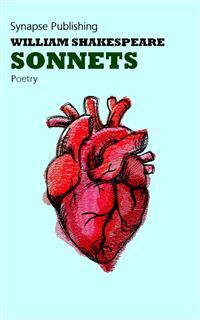 Shakespeare's Sonnets are as thrilling and persuasive today as they were when they were first published: perhaps no collection of verses before or since has so captured the imagination of lovers and readers as these. Shakespeare’s Sonnets are considered a continuation of the sonnet tradition that swept through the Renaissance, from Petrarch in 14th-century Italy and was finally introduced in 16th-century England by Thomas Wyatt. With few exceptions, they observe the stylistic form of the English sonnet: the rhyme scheme, the 14 lines, and the meter. But Shakespeare’s Sonnets also introduce such significant departures of content that they seem to be rebelling against well-worn 200 year-old traditions. Shakespeare explores themes such as lust, homoeroticism, misogyny, infidelity, and acrimony in ways that may challenge, but which also open new terrain for the sonnet form.